United Bates of America…….I Love It! It will not come as any surprise to all who know me, that I am so excited about a new show on TLC about the Bates family from Tennessee. 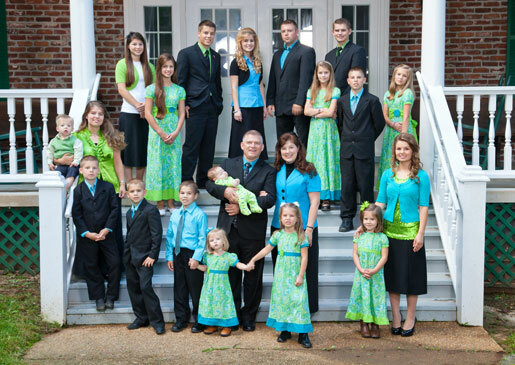 I first saw and learned of this family on the Duggars show, 18 Kids and Counting (or it might have been 17 kids and counting), and I have been enamored with them ever since. I was so impressed with their personalities, their professions of faith, and the humble sweetness of the whole family. As good friends of the Duggars, they have appeared on their show many, many times, and I guess the rest of the Duggars fans feel as I do…..so TLC decided it was high time that the Bates have their own show! For those of you who do not know of the Bates’, they are very similar to the Duggars. 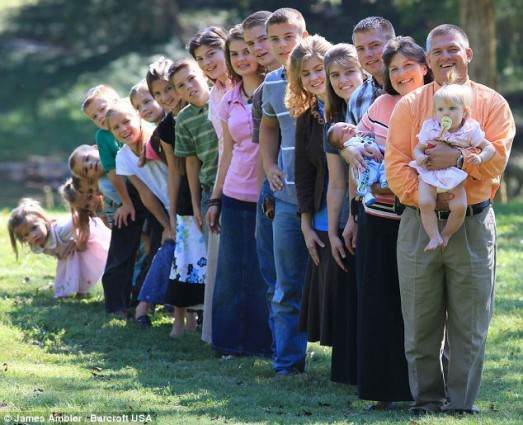 They believe that children are a blessing from God….just as the Duggars do, and they have 19 children……just like the Duggars do! Both families homeschool, they are both firm believers in Christ, and both families work for themselves. Now, just like all people, even though they are similar to the Duggars, there are some differences. The Bates are a hardworking, blue-collar family that works together running a small tree service, as opposed to the Duggars whose livelihood is made with real estate and sales. They also are a bit more ‘country’ than the Duggars. Although both families choose to live in the country, the Duggars in Arkansas and the Bates in Tennessee, it is the Bates’ that have completely embraced the lifestyle. Bluegrass, horses, western themed home decor……it’s all there….and it’s all good! Before there was a new show all about the Bates, there was a TLC ‘Special’ featuring the Bates. It was entitled, ‘The Bates Family Special’ and was more of a formal introduction to this lovable family. The world finally got to learn a lot more about the Bates children, without getting them confused with the Duggars children. Not that I would ever confuse a Duggar child for a Bates child, because all of the Bates look like each other…..and I know all of the Duggar children by face and by name (Josh, Jana, John David, Jill, Jessa, Jinger, Joseph, Josiah, Joy Anna, Jedidiah, Jeremiah, Jason, James, Justin, Jackson, Johanna, Jennifer, Jordan, and Josie) because I just LOVE that family! Yet, the Duggars show is all about their family, so the Bates have always been more in the background. Now, we were able to get a more intimate look at what makes them tick, what they stand for, and who they are. However, I must say that I already knew that Gil and Kelly Bates were the most humblest couple I have ever seen. From that very first time I ever saw them on the Duggars show, two episodes entitled, “Big Families Collide” and “Duggars vs. Bates Smackdown”, I was convinced that they were getting it right in the raising children department. Something that Kelly Bates said has stuck with me from that moment on, and I have used it as my personal motto as I raise my two teenagers: “It’s wise to shelter a young plant and to put it in a safe place until it’s root system is healthy and hearty enough to survive the winter and the cold and the harsh weather. I would say there is a time for sheltering and then there’s a time for putting it outside and letting it bloom and blossom. But I think you can do that too early.” Wow….. 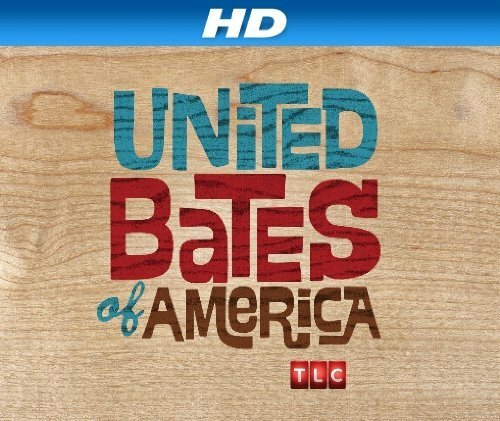 The new regular series entitled, ‘United Bates of America’ airs on Mondays at 9:00 p.m. on TLC. If you like the Duggars and you want some helpful hints on how to raise your children in a more ‘back-to-basics’ way, then this is the show for you. They will never take the place of the Duggar clan, but it sure is a nice addition to TLC’s line up for wholesome television. Enjoy, and let me know what you think!